Israeli PM says man who occupies northern Cyprus, massacres Kurds has no right to lecture Israel on morality. 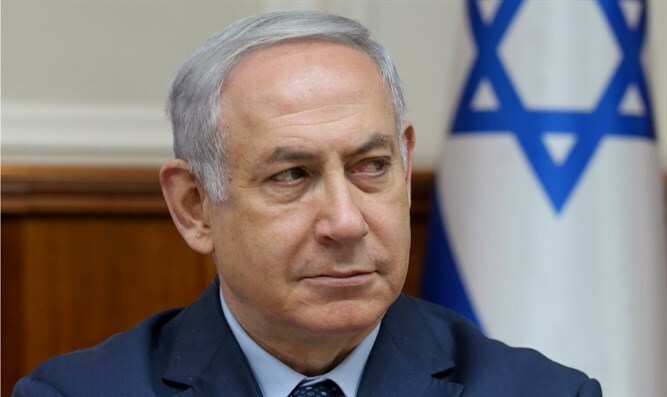 Prime Minister Binyamin Netanyahu responded to Turkish President Recep Tayyip Erdogan's charge that his hands are "stained with Palestinian blood" following the deadly riots on the Gaza Strip Monday. "A man who sends thousands of Turkish soldiers to hold the occupation of northern Cyprus and invades Syria will not preach to us when we defend ourselves from an attempted infiltration by Hamas," Netanyahu told Erdogan. Earlier, Erdogan wrote on his Twitter account: "Netanyahu is the PM of an apartheid state that has occupied a defenseless people's lands for 60+ yrs in violation of UN resolutions." Turkey temporarily expelled the Israeli ambassador to Istanbul Tuesday. In response, Israel temporarily expelled the Turkish consul in Jerusalem.